Guaranteed to improve & maintain your restaurant's profitability. 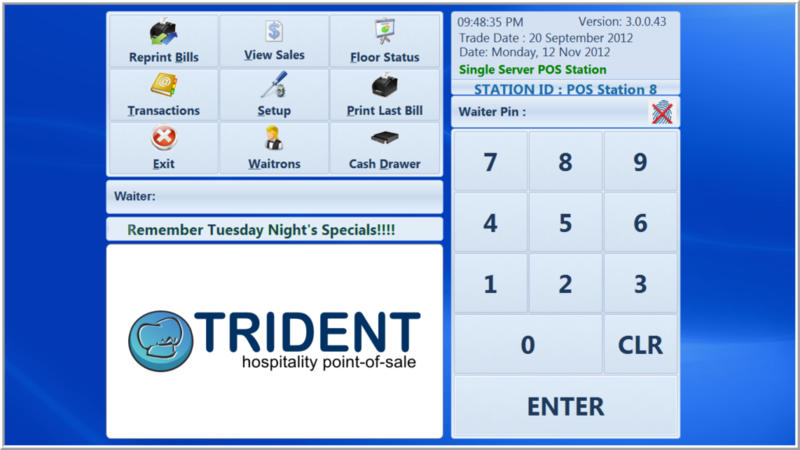 Trident Hospitality Point of Sale is a most unique combination of practical on the ground restaurant management and ownership experience, blended with unique technical knowledge and a dedicated service ethic honed with over 25 years experience in and to the service industry. 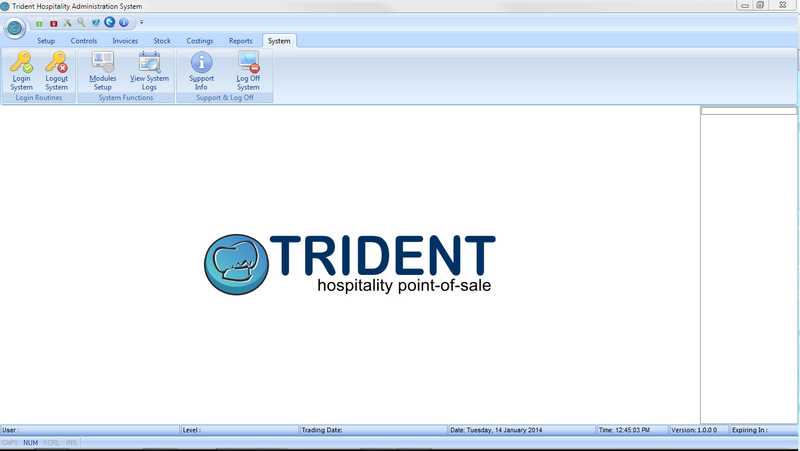 Trident combines years of hands on restaurant systems experience with the latest robust SQL database and programming languages, ensuring that you have practical software and technologies that increase profitability and work for you. Stable, reliable, user friendly, secure and practical: all these factors combine and contribute to improve your level of service and your customer’s experience - these are the cornerstones of Trident Point of Sale. 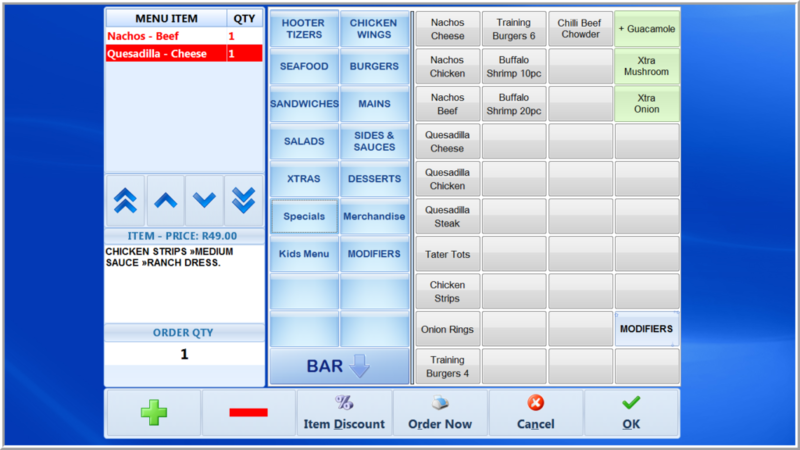 The Back Office is designed to give you control and improve the profitability of your restaurant, pub, nightclub, bistro or take away. The Point of Sale and Back Office Admin system are fully integrated to ensure operational efficiencies and a high degree of accuracy, giving you the ability to control and manage your stock, cash and staff. A clean and clutter free intuitive and user friendly interface supported by state of the art SQL database ensures a positive user experience. Stable and fast SQL database. Intuitive & user friendly Touch Screen interface. Definable prompt pop-ups for accurate prep instructions. Item logos on menu buttons for fast visual recognition. Table, waiter and item transfer functions. Management override and access to tables. Table management and definable floor layout plan. Access controlled multiple-tender types and payments allowed per bill. 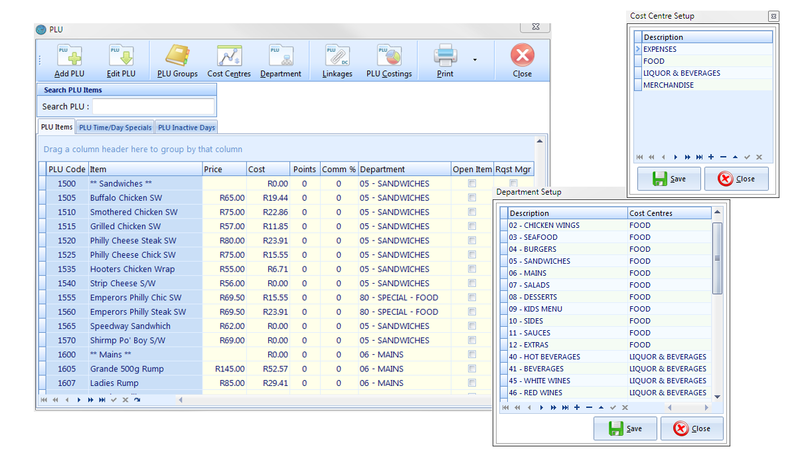 Standard discount and voiding functions with detailed logging and audit trail. Authorised discounts by percentage or amount. Fast and accurate waiter cash-ups. Reprint of bills for both the current and previous trading days. Fast Till mode for bars and take aways (Quick Service). Quick, user defined tender amounts for increased speed in Fast Till and standard table modes. Customer or user named Tabs for the bar environment. Quick Item Re-order function for the fast entry of repeat orders. 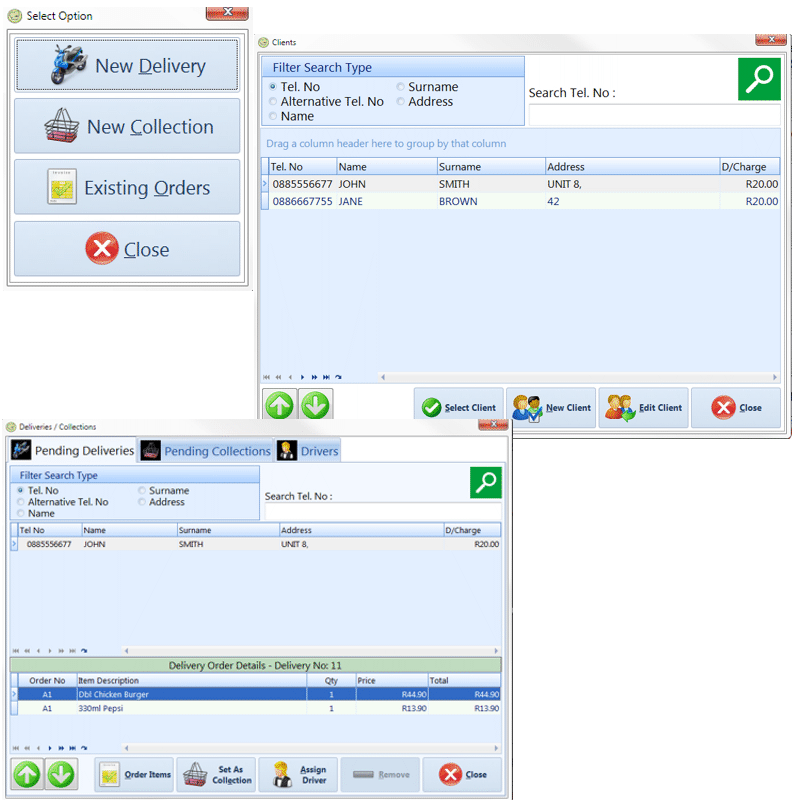 Complete Delivery module for the control, dispatch & management of deliveries. Access control to the editing of un-ordered items in both fast till and standard table modes. Caters for the scanning of standard and weight embedded barcoded items, ideal for a deli environment. Designed and built for the hospitality industry by people from the hospitality industry. Disciplined Daily Stock control mechanisms and procedures. Seamlessly integrated with the sales generated by your point of sale (POS). 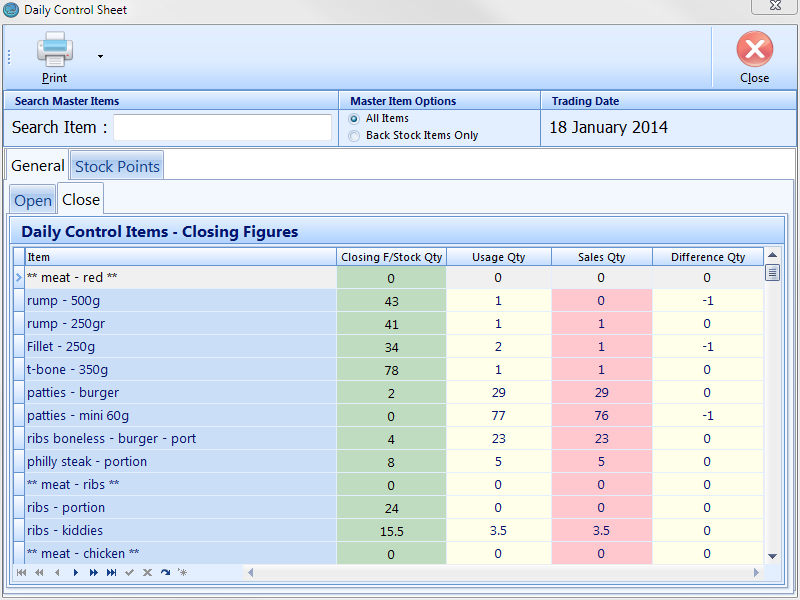 Stock Point daily stock control allows you to know from which stock point (e.g. bar and / or service bar) stock is missing from. Daily and Batch invoice capture. Automatic generation of invoices for all your monthly debit order amounts to save you processing time and effort. Real time cost price updates. Weekly and Monthly Food Cost and Income Statement reporting. Full Bulk Portioning analysis, portion costing and yield reporting. Costings module with detailed recipe management, recommended selling price, cost of sale and gross profit (GP) analysis and reporting. Comprehensive Stock Ordering module. Includes selected period usage for optomised and accurate ordering of stock. Definable user access security levels. Detailed user logs to ensure the tracking of users in the system. Detailed reporting encompassing all aspects of your business. This includes reporting on Income Statement, Food Cost, Turnover Listing, Plu Sales, Department Sales, Gross Profit Detailed and Summary reports, Cost Center analysis and reporting, Stock Listing and Valuation, Stock Variance, Waitron Sales, Cash Payout, Cashup Audit report, numerous Invoice / GRV reports and Day End reports.